You can do it in 20 minutes or less. You decide what happens to your stuff and your kids. Your wishes will be handled exactly as you’ve decided. These documents will be legally binding in your state. Not sure what needs to go in your will? Our free will preparation checklist will help you map out the major decisions first. Email yourself a copy to get started! Attorneys have prepared these documents to make sure they’re state-specific and legally binding. Knock out three crucial documents all at once: your will, health power of attorney and finance power of attorney. Modify your will for FREE for up to 90 days until you’re 100% satisfied. "I had avoided getting a will because I was intimidated by the complicated legal process, but Mama Bear made it so quick and simple. Their guided process broke down all the legal jargon and took the pressure off of making those big decisions. I’ll now sleep better at night knowing I’m prepared for the future!" These three legal documents will give you the coverage you need. Sign in front of witnesses and a notary and file in a safe place. 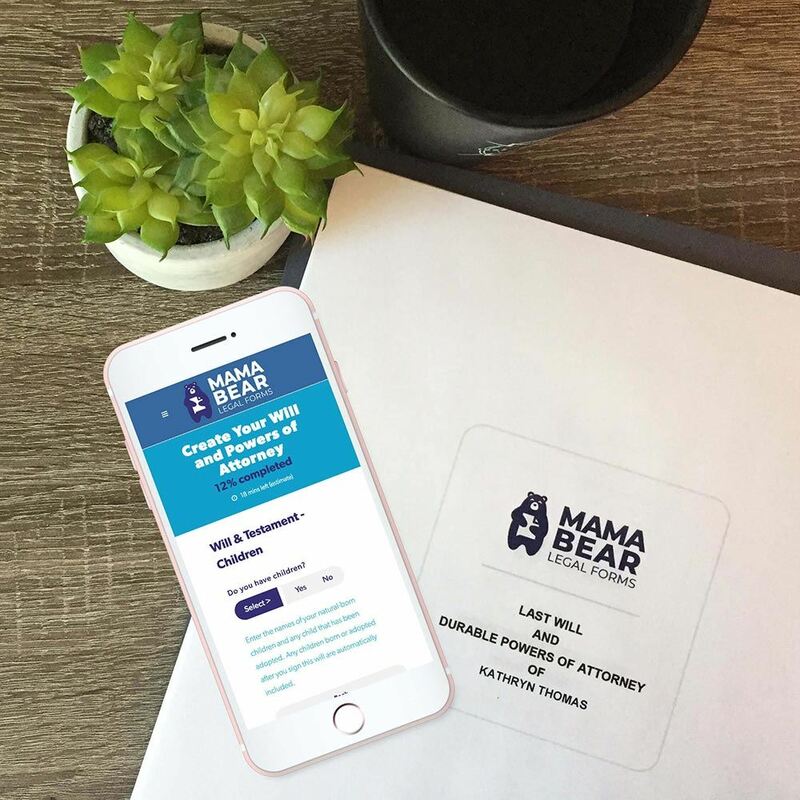 Serves as your account username with Mama Bear Legal Forms, then as the connecting point to receive your will and receipt. You will be sent to Mamabearlegalforms.com to complete your will. The Lampo Group, LLC, through daveramsey.com, provides advertising for third parties, including Mama Bear Legal Forms. This form is provided as a direct link to Mama Bear Legal Forms site. Information submitted by you is collected, stored and/or used by Mama Bear Legal Forms for the purpose of providing the documents you request. daveramsey.com, with your permission, collects only your name, email address, city and state. All other information, necessary for the generation of Will documents, submitted on this form is directly linked to Mama Bear Legal Forms’ site and is in no way collected, reviewed or stored by daveramsey.com. Likewise, all documents are solely provided by Mama Bear Legal Forms and are not generated or provided by daveramsey.com. The Lampo Group, LLC, is not a law firm and cannot provide legal advice. The Lampo Group, LLC does not warrant any sites, services or information provided by Mama Bear Legal Forms.